My wife passed away 10 months ago. 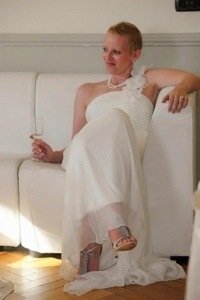 She was diagnosed with her first Glioblastoma October 2009. 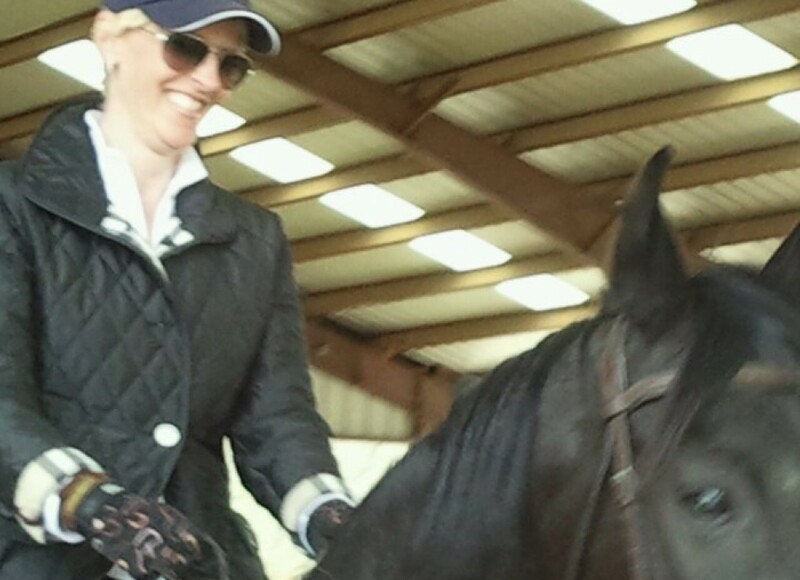 Immediately, she started raising dollars to fund research for treatments and a cure. Even though she was way late to the game with less than six weeks to walk day, Team Lindy Lou was top fund raiser with over $20k. She also took top spot as individual fundraiser as well! 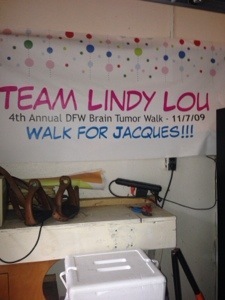 That year the theme was “Walk for Jacque.” She named her first tumor Jacque. She also named her other two tumors after French men. (Still not sure the connection to the French). 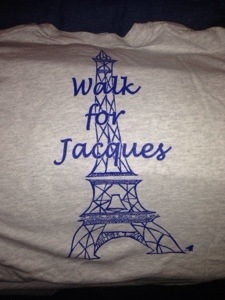 But, Walk for Jacque has always stuck with me and her team. The banner for that year still hangs in our garage. I see it every day – sometimes 10 times a day. I walked the uncut path from our house to White Rock Lake in the drizzling rain. I learned something about myself that day. Walking was kind of cathartic for me. I had a vague memory of a movie I had seen a couple years before called “The Way.” It’s about a walk in Spain. That is literally the only thing I remembered. Hours later I was booked for a flight to Barcelona, departing two days after Lindy’s funeral. Pushing through emotions, I bought some gear at the backpacking store and flew my out-of-shape self to Spain. I hopped a train to Pamplona and commenced to walking. I learned the hard way about how long and difficult this trail is. Let’s say this… I sat on a bench ready to quit the first day. I was just waiting for a bus, a car, a horse or anything to come get me. God and Lindy had other plans. I walked and cried all day, every day for almost a month. It was the off-season. Walking in sub-freezing temperatures made it even harder – the consequence of being completely unprepared for the walk. 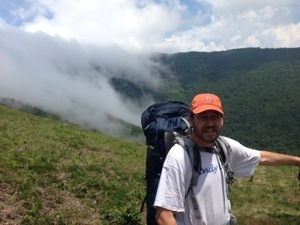 I have hiked 225 miles of this trail through the French Pyrenees and the mountains and hills of Northern Spain. It ends in Santiago. It is the Camino de Compostela: The Walk to the Apostle St. James’ grave. God worked a miracle in my life on this pilgrimage. The wonder of this story occurred in the Camino de Compostela office in the Catholic Church when I was asked which path I took so they could put it on my completion certificate. Heck one day prior, I didn’t know there was such a thing as a completion certificate. Two German kids told me about it the night before at the hostel. I had a pilgrim passport that got stamped every night, but I thought this special passport was because I was too old for hostels. I thought this passport gave me special permission since I was doing this walk. I told the lady that I didn’t know, and she would have to figure it out from my pilgrim passport. She replied, “You did Chemin Jacque”! I said, “Huh?” She said the French way is “Chemin Jacque” – “The way of St. Jacque” in English. I broke into tears and fell on a chair. 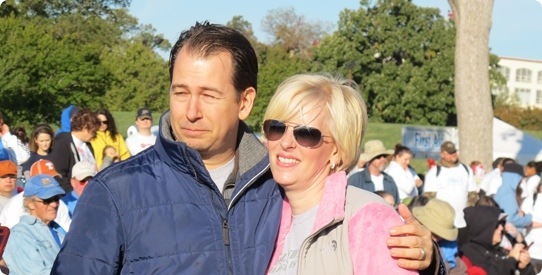 Unbelievably, I had just finished my wife’s Walk for Jacque. Life has a way of connecting things. That pilgrimage was so sprinkled with Lindy’s connection along the way. That special place and time will always be my Walk for Jacque. I finished what Lindy couldn’t – at least not in this life. We have a mutual friend….Robyn. She told me a little about you and your wife’s story. Your story about your walk is nothing short of amazing and miraculous. What a journey you were blessed to take. She sounds like an incredible and beautiful soul. I will keep you in my prayers. I would love to help with fundraising for any upcoming events in honor of your wife. Please let me or Robyn know if I can help. God bless you and thank you for sharing such a beautiful story.